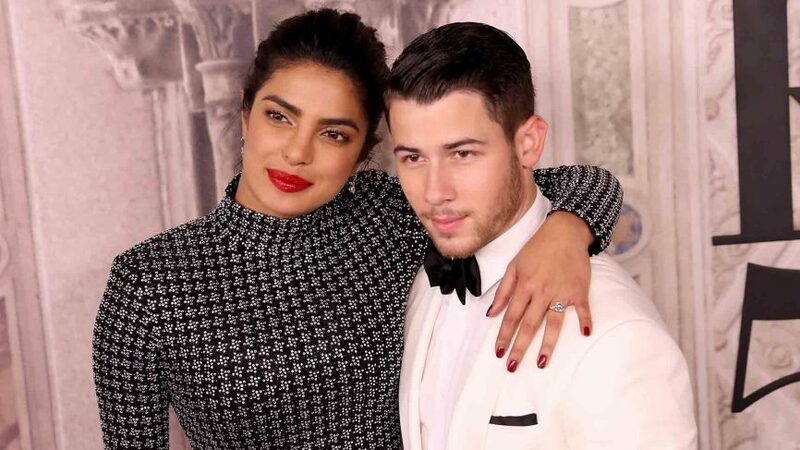 Priyanka Chopra and Nick Jonas’ whirlwind, straight-out-of-a-fairytale story is the kind that will make the staunchest non-believers change their mind about romance. After setting our Instagram feeds ablaze with their pictures—from dinner dates in New York, London and Mumbai to their appearances at the biggest red carpet events in the world—the couple finally tied the knot in Jodhpur’s Umaid Bhavan Palace (adding to the cinematic storyline) in a western ceremony today. The bride wore a custom Ralph Lauren gown, while the groom opted for what is described by the fashion house’s Instagram post as “a custom Purple Label tuxedo”, also by the same designer. That Chopra and Jonas would chose Ralph Lauren for this momentous occasion is kind of a satisfying detail in this rom-com, given that the two were first publicly photographed together at the 2017 Met Gala, where they were both seated at the table hosted by Ralph Lauren. The couple were also present for Ralph Lauren’s 50th anniversary celebration in New York city earlier this year. From the trailing trench coat dress to the bridal veil, Chopra’s choice of designer for her wedding look in a way brings the love story full circle. The couple exchanged wedding bands made by Chopard. Kevin, Joe and Frankie Jonas, along with Siddharth Chopra, were the groomsmen at the ceremony, and Paul Kevin Jonas Sr, father of the groom, officiated the ceremony. Among the guests spotted at Jodhpur earlier this week, it’s fairly evident that celebrity makeup artist Mickey Contractor may have been the one who added finishing touches to Chopra’s bridal look. The couple will also have a Hindu wedding ceremony later on Sunday. Incidentally, designers Sandeep Khosla of Abu Jani Sandeep Khosla, and Sabyasachi Mukherjee, were seen arriving at Jodhpur airport, giving flame to speculations that Chopra will wear both for two different key events at her wedding. Stay tuned to this space for all the updates on Priyanka Chopra and Nick Jonas’ wedding.